Schools usually consist of classes from standard 1 to standard 10, while some schools may also have kindergarten and junior college. Whatever be the type of courses offered by the school or the number of children studying there, managing the administration work can be taxing. 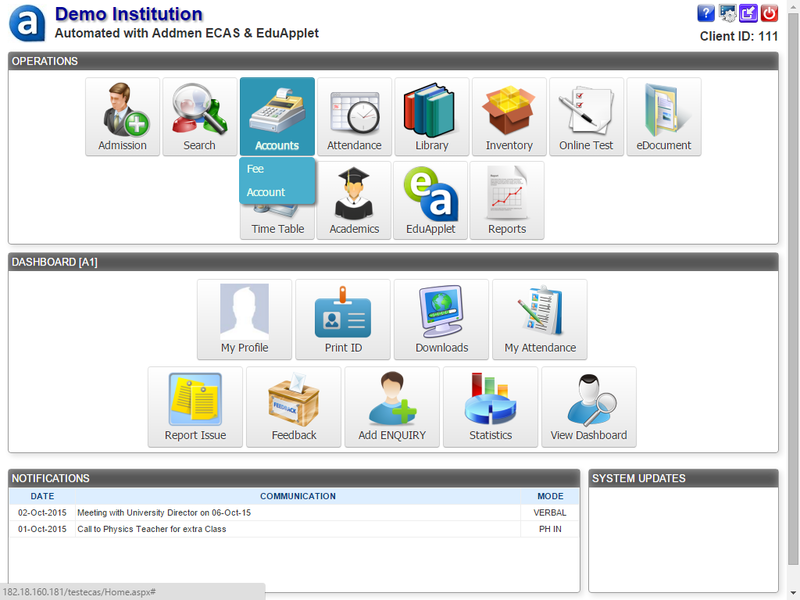 This is where ECAS or Enhanced Campus Automation System, which is a school management software, can be of help. Let us take a look at some of the features of this software. This software from Addmen has a module that takes care of all the admission needs of the school. The admission section also has an 'Enquiry' feature where users can make entries of students who have enquired about the institution and has shown interest to join the school. It also has enquiry and follow up management software. Users can record the follow up that they have done for each enquiry. As the admission forms are available in the software, the details of the students would be saved in the database and can be accessed any time. The admission and enquiry forms are very versatile. The fields can be changed according to your requirements. Online application system linked to the software is also available. Parents and students can apply for admission through this system. Recording and maintaining the attendance of students and teachers is no longer a difficult task. 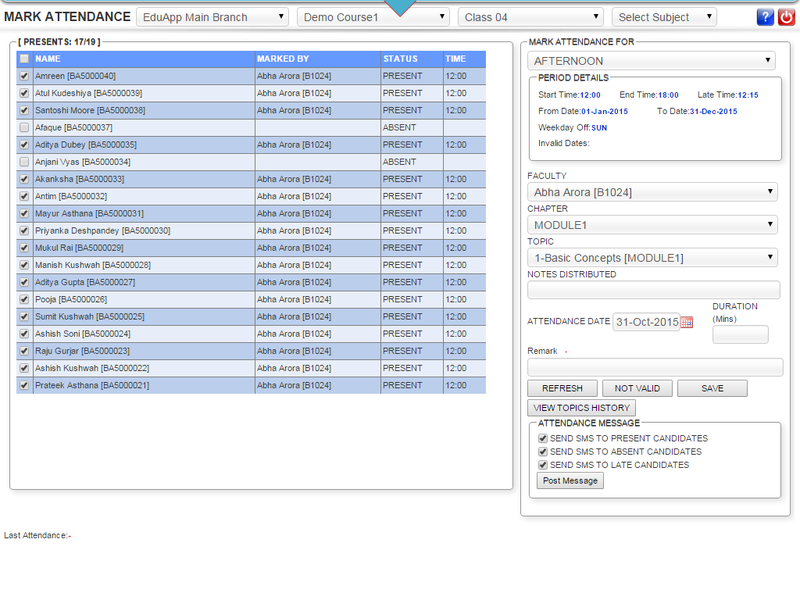 Teachers can manually mark the attendance of the students into the software. 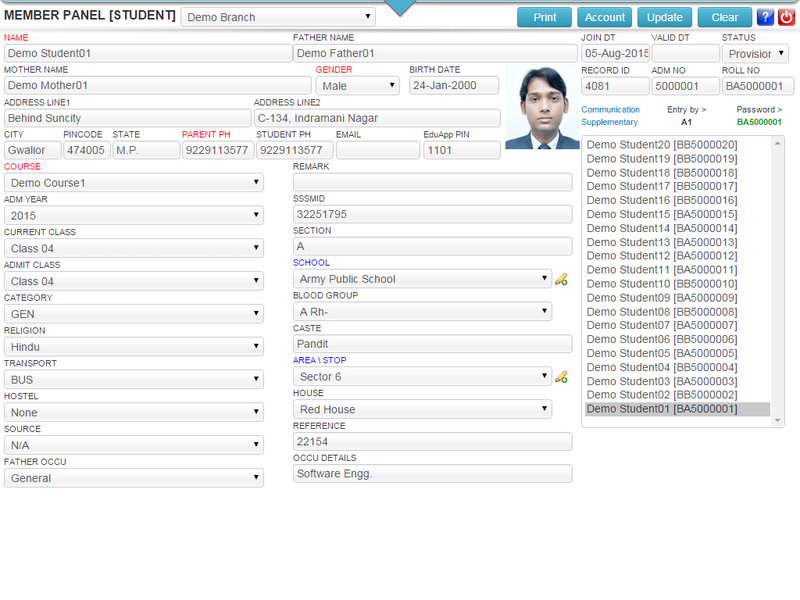 You need to mark only the absent candidates and the present candidates would be marked automatically. Teachers can also keep the record of the syllabus covered during each period along with the attendance. SMS can be sent to students who were absent or present during the day through the interface. Apart from manually entering the attendance, it can be imported from a biometric device, smart cards or barcode identity cards. Different types of attendance reports can be created using this software. These reports include attendance charts, time-log, etc. 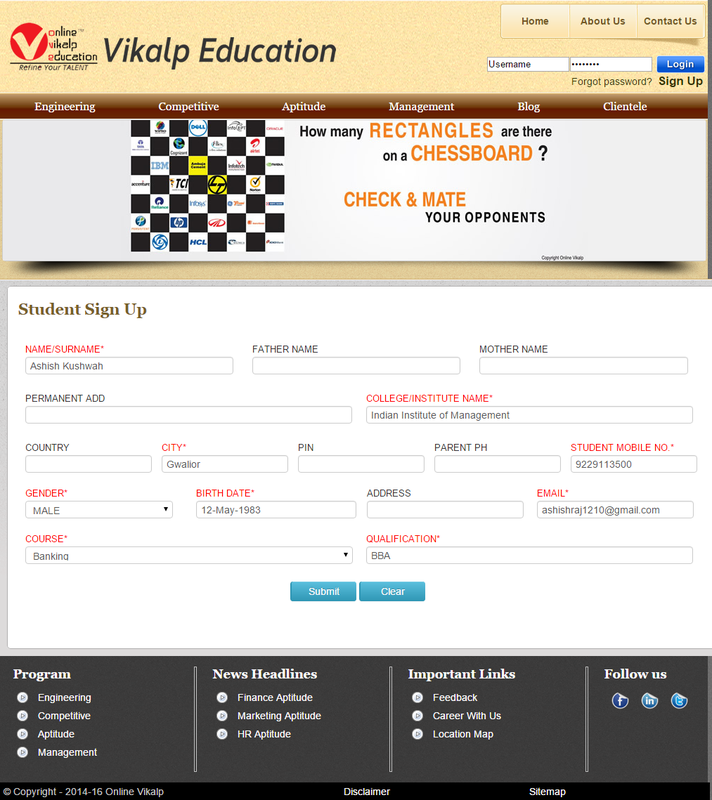 This school management software is a great tool to handle the process of fee payment. Schools are free to create their own free structure like fee plans for different categories, payment due dates, fee heads, multiple installments, etc. Fee bills, receipts, vouchers and reports can be generated using this software. Information on fee dues and fee receipts can be sent to students or their parents via SMS alerts. Library catalogues and records can be maintained with the help of this school management software. Books and other catalogued library materials can be searched easily through the elaborate filtering mechanism. 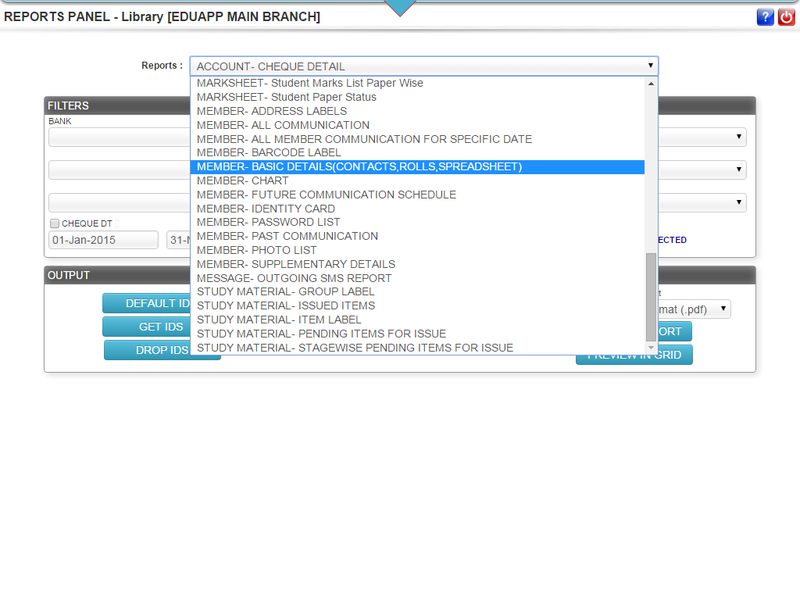 Reports of library transactions can be made available in different formats. One can get these reports printed. Apart from the above given features, ECAS also offers modules like time-table management, academics management, hostel and transport management, student document control, etc. Enhanced Campus Automation System or Software is designed in such a way that it has all the elements that are necessary for the smooth functioning of school administration.